Did you know that you can get more wood split using the splitting axe than an ordinary axe? Yes, splitting hatchets are designed specifically to split wood with maximal efficiency and minimal efforts. However, the problem is that there are so many brands and types choose from. Choosing the best axe for splitting wood can be difficult, which is why this buying guide has been compiled. There are also a few splitting axe reviews you can go through to get a better idea of the perfect tool for your job! What is The Best Axe For Splitting Wood ? Whom is for axe to split wood made or designed? What is the difference between a chopping and splitting Axe? Varnish Is Often A Bad Choice ? Single Bit Or Double Bit ? What Wood Size Are You Working On ? what length axe should i get ? Curved Or Straight Handle ? A splitting axe is a cutting tool designed with a tapered metal head usually weighing 3 to 6 pounds. Its design is intended for splitting wood along the grain line. Unlike traditional axes, splitting axe breaks the fiber of the wood apart along its grain. When swung down, the force created by the axe head causes the wood to break apart. A splitting axe is lighter than splitting maul, which either comes with a wooden or a composite handle. A wooden handle is more flexible than composite ones, and it has been used for a long time although the composite handle is lighter and more durable. I’ve chosen the following wood cutting axes and compared each one according to their functionality, aesthetic, ease of use and other features. My constant lurking and research had proven to me that aside from having a multitude of options just for splitting axes, there are certain kinds that fit specific users. The ones I’ve chosen belong to its feature, usability, strength and some distinctions to them. The Fiskars X27, 36-Inch is ideal for taller users splitting medium to large sized- wood. This goes without saying as it comes with a 36-inch handle but shorter users can choose from 17 inches. 23.5 inches and 38 inches should they so fit. The 36-inch handle is the longest option you can choose. A particular model that is designed for more one-strike splits, it focuses on efficiency with every swing. I could say that the experience when it comes to its power-to-weight ratio is a lot like swinging an aluminum baseball bat. The secret lies in its even weight distribution, which affords owners a more powerful swing with lesser shock upon impact. ​Fiskars axe’s blade is a science in itself. It has an advanced beveled convex blade making the blade easier to detach should it be lodged deep into wood. Additionally, it is also coated with a special material to keep the edge sharp for prolonged use. How the handle and head are forged together is a good idea in making the entire tool very durable-there is no need to replace handles or fear that the head would come flying off and cause accidents. 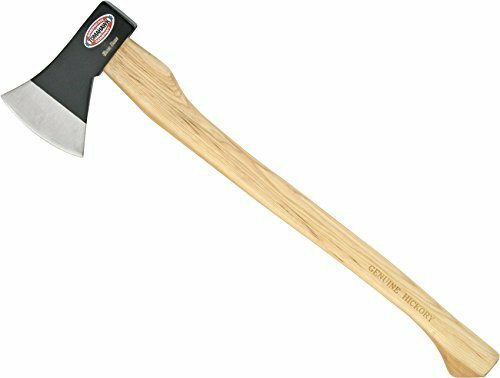 This the best axe for chopping wood works well with Doug Fur, Aspen, Walnut and Hickory. For harder types of wood, swinging might require more strength to drive the blade deeper. For the perfect chopping axe, it drives through the cutting block much deeper than others. Despite claims being unbreakable, there have been cases (especially in very cold weather) where the blade does come flying off or the blade bounces off. Perhaps this is a gauge that the tool becomes brittle in low temperatures. The worst thing that could happen is the shaft shattering. Its lightness might be an issue as it interferes with the user’s strength when swinging the axe. 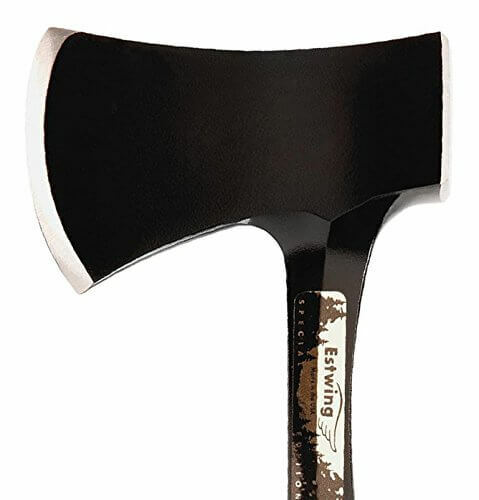 Proudly American-made, this axe has a forged steel head. The fact that this is hand-sharpened means that it belongs to a more artisan finish, and thus is more refined for cutting. At first glance, this Sportsman’s axe is a beauty with its hand-polished handle. Genuine leather is used for its handle which has been sanded and lacquered to make it comfortable to any user’s hand. ​The Estwing E24ASEA 14-Inch Special Edition Sportsman's Axe comes with a rugged ballistic nylon sheath and a belt loop which makes it convenient to keep. It’s easy to keep this tool out of reach from children and pets. Its cutting edge is ideal for campers and outdoors-men who need firewood for cold days. This is also good for clearing areas from bush growth when the opportunity arises. If you plan to make kindle wood, there have been several success stories on this as well. The black finish it comes with does not scratch off easily during use nor accumulates rust. However, its hammerhead bevel seems to be not done well and can be very distracting. Ring burrs that come with the edge can be fixed with a sharpening stone. Special stickers on the side of this splitting axe can be very unsightly if you’re like me who values a tool for its minimalist beauty. Compared to other units under the Estwing brand, the Estwing E24ASEA 14-Inch Special Edition Sportsman's Axe can use touching up. It does its job where splitting is concerned but it is not the most efficient. Despite being gorgeous, the handle can be quite slippery to grasp with its smooth and shiny finish. The girth of the leather disks on the handle is a bit unequal in size. The Cold Steel Trail Boss Hickory Handle has a length similar to that of a tomahawk, which is smaller than the standard axe to split. At an overall length of 26 inches, it is light and compact-something you can carry all day in your hand or strapped to your backpack. Its primary edge is a European Style which is around 4 to 4.5 inches capable of taking out big chunks in a single swing. Its edge is drop forged 1055 carbon steel. For some of you that wish to know, this metal is a very popular option in the making of carbon-based steel items. It is known for its durability even for heavy-handed enthusiasts. The reason behind its toughness is the percentage of carbon and manganese that give the steel low wear-resistance and adequate shock. Its carbon content is between .50% to .56% making it great for impact resistance and strength. Despite falling under the middle and high carbon content, wood splitting axes with this type of composition do not suffer from the same brittleness of high-carbon materials. The pitfall of this particular metal is that it stains and rusts likelier than others. The Cold Steel Trail Boss Hickory Handle is a popular choice. This model is well built and despite not having the handle and head forged together, had fewer reports of both breaking apart. It works fine when dealing with smooth wood fiber, but swinging can become difficult when you encounter knots. Sharpening the edge with a sandstone can be very easy with this unit. For its size, this lightweight splitting axe also surprisingly works well with chopping. The coating on the shaft and head can be an obstruction, and some users prefer sanding it down. The first thing you will probably notice about this product is that it has this professional heavy duty appeal to its overall design. It comes with a durable sheath for good storage and safety. Its blade is designed in Billnäs, Finland, which is home to more than three-and-a-half centuries of the best-forged tools. The Fiskars X15 Chopping Axe is excellent for felling trees because it chops deeper with each swing to get more done faster. For woodcutters, this means less effort, less time and less strain. As with several axes in its series, it has a newly-designed edge that keeps it ultra-sharp, durable and can maximize a user’s performance. The edge profile it presents is more triangular and thicker compared to others. Compared to other axes on the market, the X15 is shorter but delivers a very powerful swing. While it’s a common for bigger axes to outshine smaller ones, this model is actually very competitive. It holds the reputation of a perfect balance and power-to-weight ratio which increases swing speed to maximize power. The secret to its sharper edge that delivers cleaner cuts is a patented blade-grinding technique. Another feature it has is its FiberComp handle minimizing over-strike damage. Others mention that this innovation is effective especially in dealing with coarse cutting techniques. More importantly, the textured non-slip grip reduces hand strain and improves control—a much-overlooked aspect of wood cutting safety by its contemporaries. It is a very sturdy axe built from top to bottom and comes in the Estwing traditional blue color. One of few truly-American manufactured axes, it holds true to its reputation. Its forged steel head is hand polished with a beautiful finish. 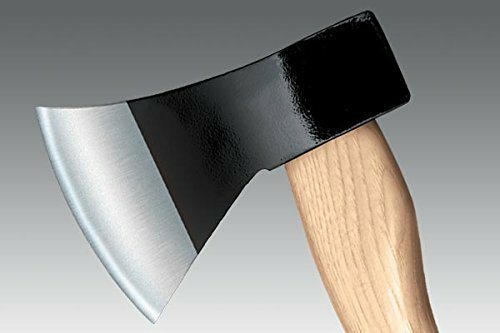 The Estwing E45A 26-Inch Camper's Axe-All Steel with Shock Reduction Grip is very functional although it would need regular sharpening to maintain its efficiency. A special feature it has is a shock reduction grip which reduces impact vibration by 70%. Some have attested to experiencing lesser hand numbness and muscle pain from using this axe. At the end of the handle is a curved shape making it easier to take hold of and grasp even after long hours of chopping wood. It comes with a heavy duty ballistic nylon sheath while its competitors only come with thin covers or none at all. The Fiskars 375581-1001 Chopping Ax has a length of 28 inches which is advisable for taller users. This model is ideal for felling trees and chopping up to three times deeper with each swing. It is very similar to the Fiskars X15 except that it is larger. Most users look into it as a preferred axe for the ease of use it offers. Some would argue that this is for lighter use only, but this is up for debate as we have to take technique and environmental conditions into consideration. ​However, browsing through comments on the Fiskars 375581-1001 Chopping Axe, 28-Inch shows that this is a fairly reliable wood cutting tool compared to traditional axes with minimal complaints. Users have to be careful of the handle as it proves to be one of the easiest to break with regular use. This Swedish unit has a handle length of 19-inches and is relatively light at two pounds. In terms of performance, the Gransfors Bruks Small Forest Axe 19-Inch belongs to the other end of the spectrum as it does well in splitting small sticks and cutting limbwood. This can be unheard of in the world of heavy-wielding wood cutters for its function. It has a very organic, classic sheath in vegetable tanned leather. Gansfors gives out an axe book with every product purchased under its brand name. This comes in several languages: Swedish, English, German, French, Japanese, Dutch, Russian and Polish and discusses fairly a lot of topics in using an axe. From the very basics to techniques, this addition is very useful and can be a plus factor when choosing an axe. Historical information can also be found in this nifty book and with much-needed illustrations. Husqvarna is a popular name for construction and gardening tools. Husqvarna S2800 27" is a powerful splitting axe for large logs and wood chunks. It comes with a composite fiberglass handle with a hammer axe head and function for easily and effectively using split wedges. It has a combination of an optimized axe head and a light shaft which concentrates its power into the cut, giving any user an edge in splitting logs. Whetstoning is a very common method in sharpening this axe, and it often gets done very quickly. There is, however, a word of caution as its handle tends to be on the brittle side which could be traced to the extended angle in the way the head is attached. Weak forging also leads to this handle lack of durability. The way this hits with wood is that the lower part touches first compared to the middle part of the axe head. While not necessarily bad, it offers a different momentum compared to other splitting axes. The other end of the head is also a bit badly made in terms of aesthetics. This is the second-to-the-largest in terms of size in its line. It can come as a 13-inch composite hatchet to something with a longer handle at 32-inches. 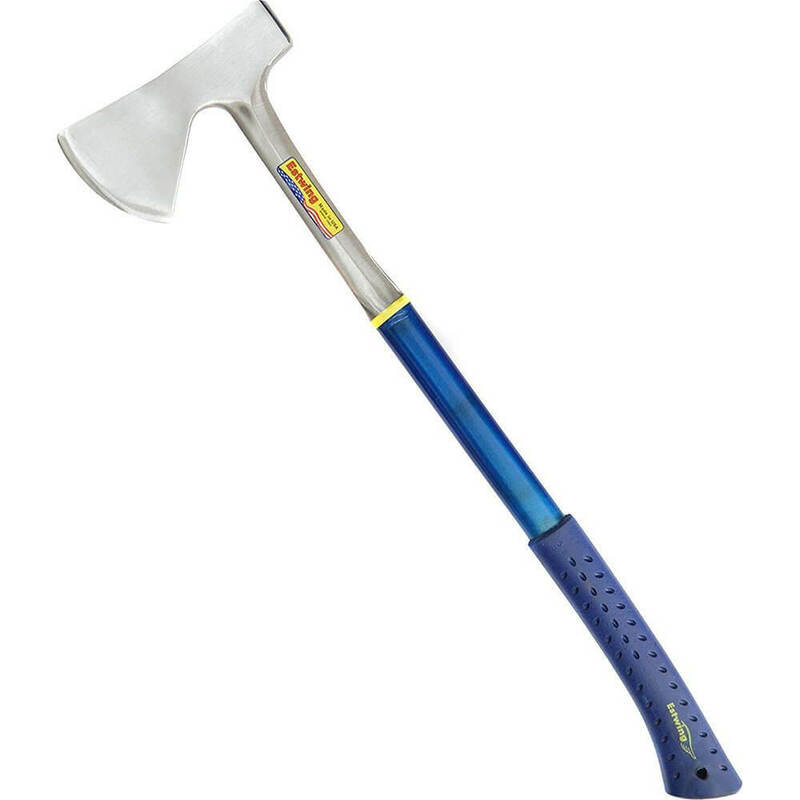 The Husqvarna 30" Wooden Splitting Axe is best made for splitting thicker wood with a shaft attached to hickory wood. In order to secure the fastening, it comes with a steel wedge, which I could say is a pretty durable choice. Its head is designed to enter wood grain very easily with minimal force by a chopper. Elongated swings work better with this model because of its long handle. Some would even say a two-handed grip works wonders for the Husqvarna Splitting Axe. It is very cost-effective and the wooden handle sits at a good angle for strength and is well-aligned with the head. While this axe is made to endure years, there have been a number of reports of it getting broken in half. The theory behind is that the Husqvarna stamping might have a thing to do with weakening the handle’s structural integrity. Otherwise, the blade is very sharp even upon receipt. This Pulaski is perfect for stumping and for doing most chores falling under yard work. It can handle hard ground and wood. A number of other tasks this tool is recommended for are on working on small to medium sized tree trunks, irrigation piping and making piping trails. A model with a long handle, this is made for longer swings and taller people. This comes with a grubbing end for easy clearing. This unit is also famous among firemen as it easily blasts down hard obstacles. It digs in well on tangled roots, making it a good weapon of choice against stubborn tree stumps. 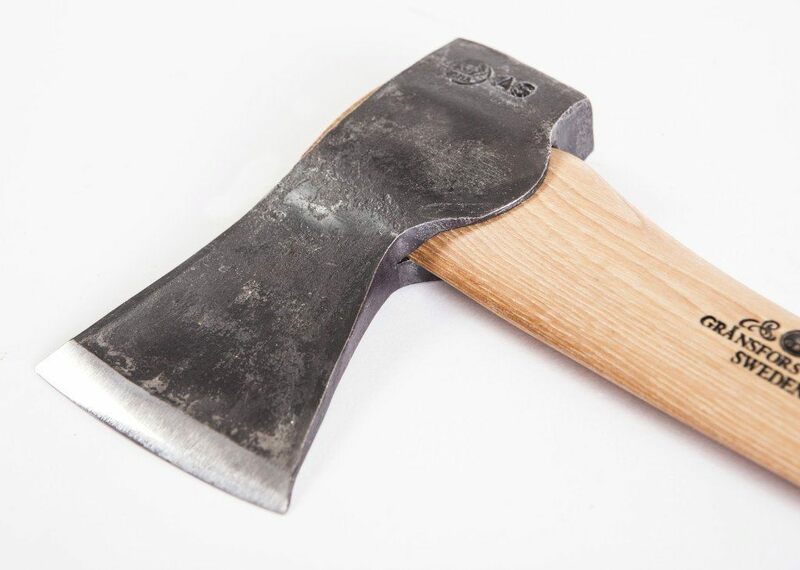 The only side comment with the Seymour AX-P3 3-1/2-Pound Pulaski Axe with 36-Inch Hickory Handle is that its steel-head comes off as softer compared to its counterparts. This can be bad when it comes to high temperature environments. You can expect a dent or slight warping should you decide to deal with high-friction woodwork. A tool every homeowner should own is an axe. If you need to make firewood for staying, it is always good to plan ahead and have this tool on standby. Axes are made for splitting, cutting, felling and shaping wood. Splitting axes, in particular, are designed to create smaller chunks of wood by ripping wood fibers apart. Its cousin, the felling axe, cuts across this fibers, blowing out chips in the process. Using one tool for the other’s purpose can be very frustrating since they are made differently and therefore, serve unique functions. A critical part of a splitting axe is its head. Its bit must be sharpened keenly to be more efficient, and it should be thin enough to bite into the wood. On the other side, it should also be thick enough to resist breaking or chipping. Some modern axes are made as one piece, so there is no option to replace the handle should it be broken. It usually means the end of its life. The advantage of having a separate head and handle is the ability to replace broken parts should the need arise. In the old days, the steel part of an axe was made with high carbon steel. These days, steel can be made of recycling car parts or industrial equipment resulting in low quality material. This means that they can be very brittle, or even dangerous for use should they shatter in the middle of splitting wood. Older axes can be rusted or chipped—a good price to pay than having one break in the middle of work. Choose brands that have a long-standing reputation and history for making quality tools. The ones mentioned in the earlier part of this article prove to be very reliable. To save on production costs, some companies transferred their manufacturing sites to China ten years ago. But upon realizing how much damage this did to quality, they moved back to the U.S. or some parts of Europe. Big brand names can be more expensive, but they can also last a longer period of time. This just means you are investing more on something that you won’t be replacing for years to come. Splitting wood means cutting down a piece of wood vertically with a single stroke. The best axe often finishes the job with minimal effort and with a clean finish. On the other hand, chopping means reducing a piece of wood to smaller pieces across its fibers. If you listen closely, there is also a huge auditory different between the two. If used wrongly for chopping, a splitting axe can land with a heavy thump. The worse scenario would be having the sharp edge bounce off of a surface and harm any living body nearby. Varnishes are a leading cause of hands slipping from an axe’s handle. This is a very dangerous situation. Take some sandpaper and sand the varnish off to reveal the true texture of the wood underneath and create some friction. You may develop blisters from the coarseness of the texture but this can die down in time. This advice is also applicable to hand painted axes as the paint often causes your hands to slip. A better purpose for them would be as decoration if you intend to preserve their artistic flare. Although a single bit axe cuts faster because of the weight carried by its opposite end, a double bit axe is more versatile and balanced. While single bit axes are more common, getting one with two cutting edges can be more beneficial. This is because both sides are of equal weight and length. A double bit axe offers more control because it wobbles less. Rather than banking on the strength of your swing in cutting, a double bit axe makes sure that your blows are accurate. More importantly, practicality comes in when you deal with two edges. Instead of buying single bit axes for multiple purposes, you can customize one edge differently from the other. This can especially be more helpful on a camping trip of if you are in a hurry with cutting wood. Most owners sharpen one end for felling and the other for limbing. You may also sharpen one side for soft wood and the other for hard wood. So you should decide to settle for a double bit axe, be aware that keeping one requires more safety precautions. Be mindful of the best practices to keep yourself and others safe. The best chopping axe is good for working on large chunks of wood. Their heavy weight gives better leverage in tearing apart bigger and thicker wood fiber. However, a consideration needs to be made when choosing your preferred handle length. Longer handles mean you can maximize the blow you deliver, but this could be challenging for individuals with smaller built. It is often incorrect to assume that heavier axes always make for more efficient work. Axe heads weighing six or seven pounds are often just good for competing while you are better off with everyday five-pound splitting axes for wood and yard work. Heavier axes often mean less accurate work and if you consider yourself a novice, better make sure that you are safe. Running your access edge back and forth on a piece of leather takes away burrs from the cutting edge. Rubbing the edge of your chopping axe across the abrasive surface of your stone redefines the edge. Make sure to evenly sharpen both sides, turning one surface to the other in a circular motion every few minutes. This item has a 20-degree angle and does fine with removing imperfections. As it is not your ordinary flat surface, it may take some practice to use. The logic behind this is that while most men often choose longer handles so that they can exert more force, they often cannot control the axe head well, thereby hampering their accuracy and exposing them to potential muscle strain. When deciding for the length of your splitting axe handle, be sure to always choose something shorter than you ideally see yourself using. The standard length for felling is 36 inches, which could even be too long for most men. A 31-inch handle will be good enough for the average six-foot male as it provides both force and control. Your typical store-bought splitting axe often comes with a plastic handle because this setup is very cheap. However, if you choose to go for wood, hickory and ash are your strongest allies. Do inspect the grain direction of the wood as well as the growth-ring width and quantity. The ideal grain of wood should be parallel to the bit of the axe. Otherwise, those that run perpendicular will often be weaker and have a tendency to snap when you strike on hardwood. More growth rings mean a more mature source. If you’see tight, numerous and narrow rings, this means that the handle is stronger compared to those with broadly-spaced growth rings. Most single bit axes have curved handle which feels a little more natural. On the other hand, double bit axes are often made with straight handles. Either way, the main guideline is a comfort you feel while grasping the handle. Some find that slightly curved handles feel more natural and offer more control from slipping. It is so tempting to buy the coolest and toughest-looking wood chopping axe in the world. While this may make you look like the legitimate expert, this can seriously backfire. Experts agree that beginners are better off practicing with splitting axes that offer a balanced weight and a form that is easy to control. It is important that you be self-aware of your form while holding an axe both in resting and active position, your capacity to handle shock and certain degrees of strain as well as you knowledge of safety procedures while holding a splitting axe. With consistent use and practice, you may get comfortable with certain weights of axes but this doesn’t mean you should stop learning how to further improve your craft or be less careful at all. So much thought must be put into consideration while purchasing an axe. While it may take time to decide, always be assured that taking certain factors into consideration would mean spending less time and effort in the long run. The right, durable axe is often one that is versatile for your needs. If you take care of your axe to split wood, you can even preserve it for several generations to come. There are too many choices when it comes to choosing the best wood splitting axe but as with any competition, there are always top performers. The ones mentioned in this article are tried and tested brands and models, which I hope you could even further appreciate. Whichever one you choose, be assured that you are getting a bang for your buck.